Now that I have power again, lets move on with these! 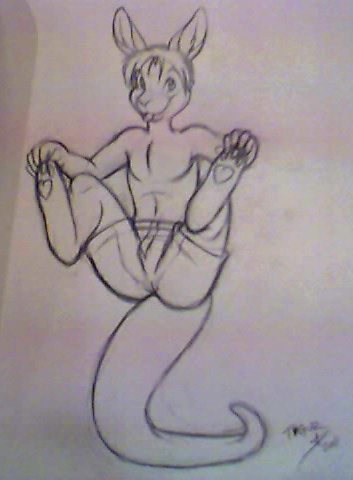 Here's a kangaroo I got to sketch up for FurFright this year. Oh you had no power because of the Snowstorm? He is such a gorgeous kangaroo guy. Yeah, snow ripped the tree limbs down and they ripped the powerlines down. A lot of people here still don't have power. Oh no that´s absolute bad. Hope it will be better soon.